In order to make things more interesting, marked Piatnik 595 red cards was made for those who need. Piatnik 595 red marked cards are the Blue Piatnik 595 cards marked with invisible ink marks, and those marks are luminous marks when seeing by wearing our infrared contact lenses. 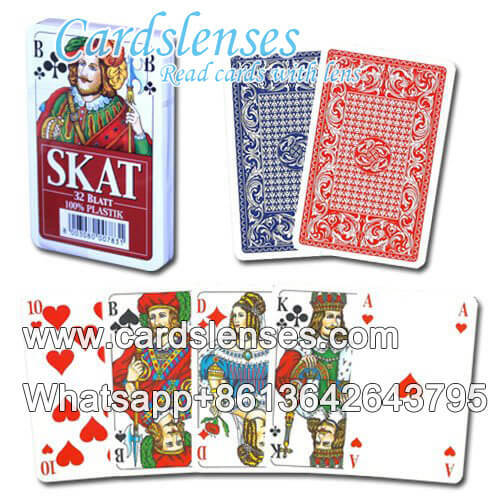 Marked Piatnik 595 red playing cards can be used to enjoy games and playing magic tricks for entertaining purpose, but using them in any casino games is forbidden. Please use marked cards according to local laws.